Souvenir NameLed Lighted Compact Makeup MirrorMOQ1000pcsProduct Size10.5×7.9×1.5 CMMaterialABS+Alumi.. 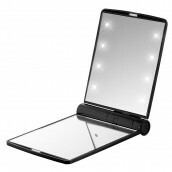 Souvenir NameLED Lighted Makeup MirrorMOQ50pcsProduct Size27x17 CMMaterialABS+SilverImprint SurfaceA.. Souvenir NameMini Portable Cosmetic MirrorProduct Size7 CMMaterialSPTEImprint SurfaceSPTEProduct Net.. Souvenir NameRoller Clothes BrushMOQ300PCSProduct Size2.7x16 CMMaterialABSImprint SurfaceABSMax. Imp.. Souvenir NameCleanerMOQ100PCSProduct Size25.5x25.5 CMMaterialABSImprint SurfaceABSMax. Imprint Area5.. Souvenir NameShoehornMOQ300PCSProduct Size22x5x2 CMMaterialABSImprint SurfaceABSMax. Imprint Area3.2.. Souvenir Name Bottle Band MOQ 1000 PCS .. Souvenir NameCloud Magnetic Key HolderMOQ500PCSProduct Size10x3.5x5.5 CMMaterialABS+MagnetAvailable .. Souvenir NamePortable ChairProduct SizeFold: 16.8x6.6 CMMaterialPC+RubberProduct Net Weight560g.. Souvenir NameCrystal AshtrayMOQ100PCSProduct Size10x10x2 CMMaterialCrystalImprint SurfaceCrystalProd.. Souvenir NameWooden AshtrayMOQ100PCSProduct Size11-20 CMMaterialWoodImprint SurfaceWoodProduct Net W.. Souvenir NameKraft Paper Gift BoxMOQ100pcsProduct Size20x10x6.5 CMMaterialKraft PaperImprint Surface.. Souvenir NameElectronic ScaleMOQ100PCSProduct Size90x60x20MMMaterialPlasticImprint SurfacePlasticPro.. Souvenir NameTravel Neck PillowMOQ100PCSProduct Size16.5x67 CMMaterialPS + CottonImprint SurfaceCott.. Souvenir NameCustom Coin BoxMOQ100PCSMaterialPPAvailable ColorOrangeProduct Net Weight130Product Siz.. Souvenir NameElectronic ScaleMOQ100PCSProduct Size16x7.5CMMaterialPlasticImprint SurfacePlasticProdu.. Souvenir NameElectronic ScaleMOQ100PCSProduct Size17x12.3CMMaterialPlasticImprint SurfacePlasticProd.. Souvenir NameFolding Lint BrushMOQ100PCSProduct Size10x2.8x2.8CMMaterialABSImprint SurfaceABSMax. Im.. Souvenir NameWater Bottle Strap HolderMOQ1000PCSProduct Size1750X25MMMaterialPolyesterProduct Net We.. Souvenir NameLED MagnifierMOQ30pcsProduct Size119x66x10mmMaterialOptical grade Acrylic magnifying le.. Souvenir NameBig Piggy BankMOQ100pcsProduct Size16X10X9CMImprint SurfacePlasticMax. Imprint Area3.5X.. Souvenir NameCombined Storage BoxMOQ500PCSProduct Size108X54X66MMMaterialPSProduct Net Weight94GSamp.. Souvenir NameCombined Storage BoxMOQ500PCSProduct Size108X108X66MMMaterialPSProduct Net Weight152GSa.. Souvenir NameJewelry BoxMOQ300PCSProduct Size150x124x168MMMaterialABSProduct Net Weight290GSample Le.. Souvenir NameCoffe Cup HumidifierMOQ200pcsMaterialPlasticImprint SurfacePlasticAvailable ColorWhiteP.. Souvenir NameMechanical TimerMOQ500PCSProduct Size7.6x7.1CMMaterialPlastic + MetalImprint SurfacePla.. Souvenir NameCD CaseMOQ100PCSProduct Size159X132MMMaterialPPProduct Net Weight76Sample Lead Time7Day.. Souvenir NameCrystal Bag HookMOQ1000PSCProduct Size11x7CMMaterialAlloyProduct Net Weight45gSample Le.. Souvenir NameMetal Bag HookMOQ1000PSCProduct Size11x7CMMaterialPlasticAvailable ColorBlueProduct Net.. Souvenir NameRhinestone Bag HookMOQ1000PSCProduct Size11x7CMMaterialAlloyProduct Net Weight45gSample.. Souvenir NamePaint TinMOQ1000 PCSProduct SizeD7.5xH11.4CMMaterialTin plateProduct Net Weight70gSampl.. Souvenir NameExplosion-proof Glasses CaseMOQ100PSCProduct Size16X8X6CMMaterialOxfordAvailable ColorB.. Souvenir NameStainless Steel MirrorMOQ100pcsProduct Size8.5X5.3X0.08CMImprint SurfacePU / stainless .. Souvenir NameGlass BallMOQ10Product Size6CMMaterialGlassAvailable Colorblack/yellow/red/whiteProduct.. Souvenir NameAdvertising PVC Folding VaseMaterialPVCMOQ1000PCSProduct Size20x10CMPackageOPP BagOuter.. Souvenir NameBag Hanger PremiumCarton Dimensions30x17.5x20.5CMOuter Packing250 PCS/CTNCarton Gross W.. Souvenir NameBone Shape Wastebag DispenserMaterialPlasticMOQ100 PCSProduct Size8x5CMPackageOPP BagOu.. Souvenir NameBrush with Computer StandMOQ100pcsProduct Size5.4X7X1.5CMImprint SurfacePlasticMax. Imp.. Souvenir NameCandy-colored WarmerMaterialABS+ Aluminium AlloyMOQ100PCSProduct SizeΦ=12CMPackageBoxOu.. Souvenir NameCar Air FreshenerAvailable ColorBlackImprint SurfaceABSMax. Imprint AreaD4.3CMProduct S.. Souvenir NameCar SunshadeMOQ100 PCSProduct Size17CMx8CMImprint SurfaceTCMax. Imprint Area7CMx3CMAvai.. Souvenir NameClapperMOQ500PCSProduct Size9X19CM / 13.5X28CMMaterialPPSample Lead Time7DaysProduction..